Oaks are truly spectacular trees, but in our area the grandest is the rare Engelmann Oak (quercus engelmannii). 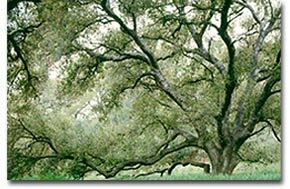 Most oaks we see on the coastal plain of Southern California are the trademark Coast Live Oak (quercus agrifolia). It’s dark green leaves and dense foliage can be spotted everywhere. The Coast Live Oak is an impressive tree, but the majesty of the Engelmann can take your breath away. Their large twisted spreading limbs generally form a sparse crown. 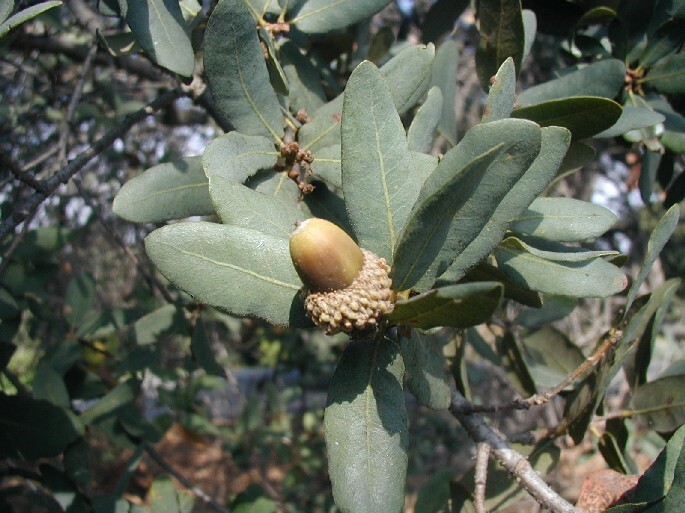 Their gray/green leaves are more elliptical or oval than the Coast Live Oaks, and their acorns more stubby. They often reside near Coast Live Oaks and Sycamores. 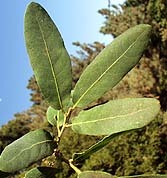 A separate species, Engelmann Oaks only exist in a narrow band that stretches along the foothills of Southern California from Pasadena down through Orange and San Diego County into Baja California. They need to be twenty miles or more away from the ocean at an elevation of 500-4000 feet. In Southern California these spectacular trees have had a hard time because the mesas on which they are usually found are also ideal sites for homes. Engelmann Oaks are probably the most imperiled of all tree oaks and are one of the most endangered natural plant communities in California. There are still some Engelmann Oak woodlands in San Diego County, and they steal the show on the Santa Rosa Plateau in Riverside County. In the Fall the Arroyo Seco Foundation collects Engelmann acorns to propagate seedlings at our nursery. Over the years we have planted or given away hundreds of these great trees. Preserve and Protect Engelmann Oaks -- Survey your neighborhood to identify Engelmann Oaks and assess their health and care. Report any trees you feel need special attention or care to engelmann@arroyoseco.org. Help propagate new Engelmann Oaks --Help us by collecting a bag of acorns from a great Engelmann specimen. Send us an email letting us know that you would like to help. We’ll send you complete instructions on how to identify Engelmann Oaks and how to collect acorns. It’s easy and rewarding. Your good efforts can bear fruit for generations.